With over 90 million downloads and over 1 billion minutes of annual in-app engagement, Indian developer Games2Win certainly has global reach. But, as with many F2P developers, learning what all those players are doing in-game is now as important as making games. That's certainly been the case with its prime title Parking Frenzy 2.0. It's gained more than 20 million downloads on iOS and Android and has a particular strong US audience. To help it understand what players were doing in-game, Games2Win starting using Flurry's Explorer tools. Using this, it instrumented custom events in order to find out what specific actions players perform in Parking Frenzy 2.0. The goal was to identify user segments and actions that could help to increase content consumption and user retention. By setting up cohorts of players who performed specific actions, Games2Win learned that the vehicles players were using had a strong influence on the number of sessions and engagement. In particular, players who owned the Monster Truck had twice the retention of those that didn't. 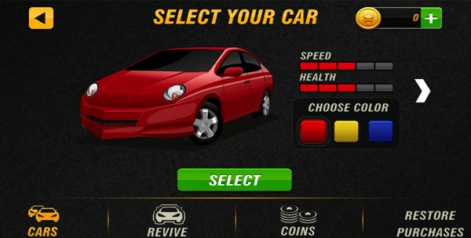 Using this information, Games2Win reworked the user experience flow when it came to selecting new vehicles to encourage players to buy cars that showed a high retention rates. One result was a screen with a choice of six vehicles, which replaced a screen with just one. After making the changes and releasing the new version to the App Store, Games2Win saw a significant growth in in-app purchases and user engagement. 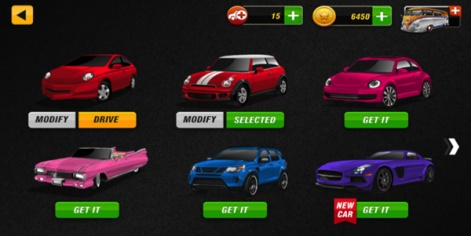 More specifically, car consumption was increased 3.2 times, while Day 1 retention for the updated version of Parking Frenzy 2.0 rose 7%, while overall day-on-day retention rose by 5% as players used more high performing cars. "Flurry is one of the most trusted and continuously evolving analytics platforms," commented Games2Win's head of analytics Gaurav Acharekar. 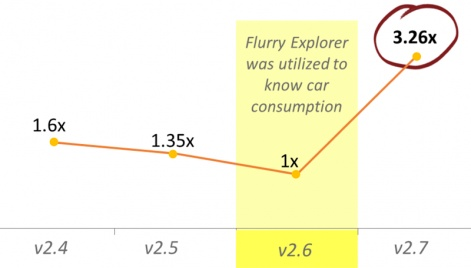 "The latest addition of Flurry Explorer and real-time data has helped us to boost game performance from day 1. "Also cohort analyses are helping us to understand specific user segments which increases retention and revenue for us. It's easy to use, allows a deep dive with Flurry Explorer and it's free."